Is the Supreme Court Just? We Americans are nothing if not predictable. When the U.S. Supreme Court ruled this week that the Constitution allows for prayer at government meetings, the vote of the justices was unremarkable, as were the responses of our citizens. Conservatives cheered and liberals decried the decision. Some of my friends on both sides of the aisle reacted with passion and thunder. Others stayed completely silent, in keeping with their vow never to discuss religion and politics in polite company. I could have predicted their reactions with almost flawless accuracy. The headline on the home page of the Washington Post disappeared within hours, replaced by more sensational news. And, once again, few of us took time to notice the nuances of the decision. 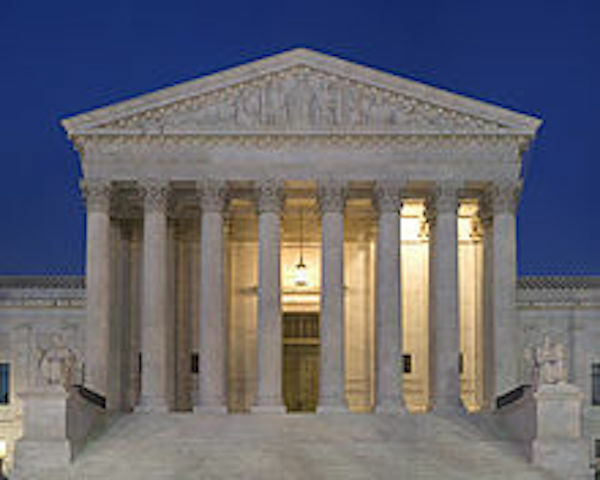 All nine justices actually agreed that legislative prayer was acceptable, and one of the most liberal, Justice Elena Kagan, wrote for the dissent that the public arena “need not become a religion-free zone.” She also commented that the town could have avoided the courts altogether had its elected officials simply found a more diverse group of religious leaders to offer the prayers. But these are not the comments that will inform our public discourse and help us find a third way out of the morass. Few people even heard them. People at the most polarized extremes, because they control who is nominated from the base of their parties, will continue to get the loudest voice—people who will cherry-pick sound-bites from the decision and the dissent that support their own views. We have been having this argument since the formative years of our democracy, but all that most of us know about the Founding Fathers is that they wrote the First Amendment almost before the quill that wrote the Constitution could be put back into the inkwell. What is surprising, though, is that having technology has made us no more able than the quill and scroll to have productive conversations that will lead to sensible separation of church and state. Just as politicians’ religious beliefs are oversimplified today, the public placed John Adams’ and Thomas Jefferson’s beliefs into neat categories at two extremes that did not serve to convey the complexities of their beliefs. Adams was the son of a Puritan minister, but he chose to become a Unitarian as an adult. Though the Unitarians of his time did not necessarily believe in the divinity of Christ, Adams’ prolific quotations in response to atheists of his time make clear that he did. He both called himself a “church-going animal” and said that he sometimes thought that the world would be better “if there were no religion in it.” And though there is ample record of Jefferson’s attendance at various churches, he was often accused of being an atheist in the years leading up to the election that made John Adams a one-term president. The rights of conscience we never submitted, we could not submit. We are answerable for them to our God. The legitimate powers of government extend to such acts only as are injurious to others. But it does me no injury for my neighbour to say there are twenty gods, or no god. It neither picks my pocket nor breaks my leg….Reason and free enquiry are the only effectual agents against error. It is only after 200 years of scholarly research that we understand some of the complexities of their personal beliefs. One might conclude that we are forever doomed to oversimplify and repeat history again and again. And if we continue to depend on sound bites and tweets that force complex issues into 140 characters, one might well be right. Perhaps we should mandate that every citizen must read an objective account that explains both extremes and all the nuances in the middle before he or she can engage in any public debate or comment about the issues that plague us. At least then we would know that every person who engages in the debate is offering an informed opinion. SL.11-12.1d: Respond thoughtfully to diverse perspectives; synthesize comments, claims, and evidence made on all sides of an issue; resolve contradictions when possible; and determine what additional information or research is required to deepen the investigation or complete the task. It’s a lofty goal. But if we expect our young people to do it, then we adults ought to model such behavior every day in our public discourse. How many of us actually read the justices’ opinions? I have to admit that I did not—until I was curious about Justice Kagan’s dissent. I still haven’t—and probably won’t—read the whole document, which is 80 pages long. But I did skim the entire document, and I read enough of their reasoning to know that the justices did reason and respond thoughtfully and rationally. And I have much more respect now for the justices with whom I’m most likely to disagree. That’s how democracy is supposed to work. My side isn’t always going to win when we can’t resolve contradictions. But this is the best we’ve got. How can we make it work? Previous PostHow Do We Feed the Hungry?Next PostWishing Your Life Away?